LAS VEGAS u2013 A quartet of new Nikon Coolpix cameras includes the L830 which comes kitted out with a 34x zoom and Full HD video. 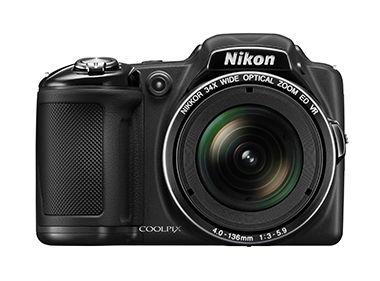 The Coolpix L830 features a 16MP backside illuminated imaging sensor and lens-shift vibration reduction. The L830 also sports a tiltable 3in (921,000-dot resolution) monitor. UK pricing and an on-sale date had not been announced at the time of writing. In the US, the Coolpix L830 is due out next month costing $299.95.